The title of this release sounds flippant, but it accurately reflects what the project’s aims. The basis on the six-DVD set is a three-part documentary about the composer’s life. This is supplemented by 12 hours of filmed performances, all recorded specifically for the project. The aim here is to give a meaningful overview of the composer and his work, a huge task given the quantity and variety of his output. Though I’ve some minor qualms about the presentation style, and most of the performances find themselves up against very stiff competition, the result is a spectacular success, making the most of the extended video time to explore almost every corner of the composer’s work. Inevitably, there is a strong organ focus here. The label, Fugue State Films, specializes in documentaries about organs and organ composers, and Will Fraser, the director/producer/narrator/auteur behind the project is himself an organist. But the recordings and the documentary also explore Reger’s chamber music, songs, piano works, and orchestral music. The only major omission is his choral music—secular, sacred, and liturgical—though fortunately this is well-represented on CD elsewhere. In total, the filmed recordings here cover one third of the Reger’s output, even if the organ music remains the primary focus. The documentary is entitled “The Last Giant,” a reference to Hindemith’s description of Reger as “the last giant in music.” It takes three and a half hours to survey the composer’s life, which would seem an indulgence given that he only lived 43 years. But, as the documentary makes clear, he packed a great deal into that time, and, although composition was always his main focus, his other musical activities had a crucial bearing on his work. One very interesting angle here is the extent to which the different periods of Reger’s career map onto his compositional style. His time in Munich (during which, we are told, he was best known as an accompanist) gave rise to his most Modernist music, as he attempted to establish himself as a leading light of the new generation. Then, in Meiningen, where Reger conducted the Court Orchestra, he was essentially a court subject, hence the more formal Neoclassical music of that era. And then he left to live a quiet life (at least by his standards) in Jena—hence the “Free Jena Style” of his last years. Much of the biographical information here is otherwise completely unavailable in the English language (though German-language Reger scholarship is robust), making this documentary particularly valuable to Anglophone Reger enthusiasts. The format mixes excerpts from performances and interviews with performers and scholars. The primary source for biographical information is Professor Susanne Popp of the Max-Reger-Institut in Karlsruhe. While obviously highly knowledgeable on the subject, Popp is also warmly sympathetic to her subject. Nobody could claim that Max Reger was perfect as a man, and his various inadequacies are given due consideration, especially his alcoholism, which inevitably becomes a recurring theme. Fortunately, though, everybody here takes him seriously; usually, any time given over to discussion of Reger in English soon devolves into flippant humour (admittedly much of it coined by Reger himself). Tellingly, not even the concert review/toilet paper gag makes into this film, which is all to the best. The survey of Reger’s biography is mixed with in-depth discussion of the evolution of his style. The main interviewees here are the organist Bernhard Haas, the conductor Ira Levin, and the musicologist (also from the Max-Reger-Institut) Jürgen Schaarwächter. Again, the depth of the discussion, combined with the fact that the composer’s entire career is discussed, makes this very valuable. Bernhard Haas, sitting at an organ console, gives a fascinating talk on the reasons why Schoenberg and his followers considered Reger a radical: Haas takes a Reger organ work and dissects the opening bars to demonstrate just how subversive the use of tonality is. On the other hand, Reger’s inability to write convincing melodies is also addressed. One fascinating insight, given in the first episode, is that Hugo Riemann, the legendary teacher who would become Reger’s mentor, initially turned him down as a student, on the ground that his music was too focussed on harmonic innovation and that his melodies were contrived simply to articulate the harmonic progressions. 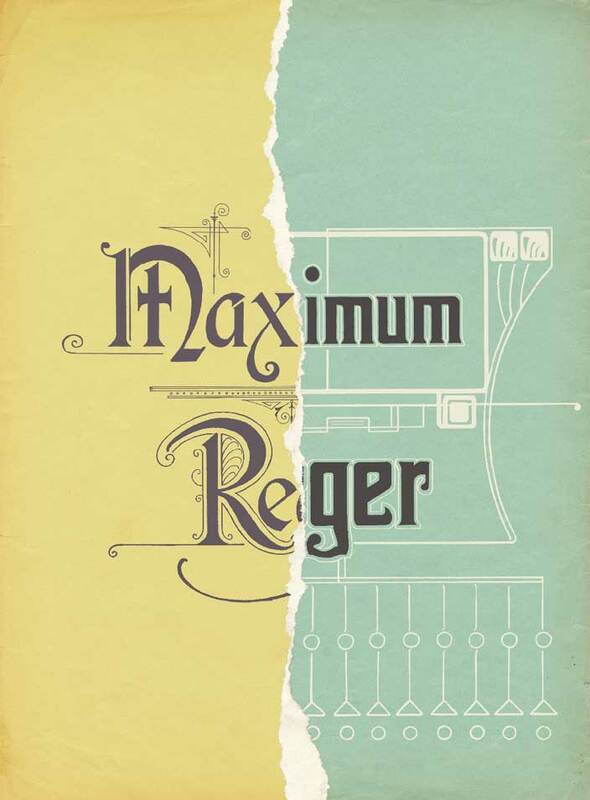 Riemann advised that Reger write Lieder, to improve his melodic writing—and he did, writing hundreds over the course of his career, but the problem remained. Presentation-wise, the best of the filmed performances are the organ works. 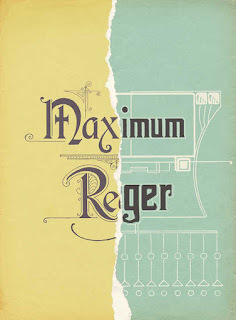 Reger, it soon becomes apparent, had a masterful gift for choreographing the hands as they move around a large organ console, with all the doublings, hand crossings, and finger substitutions that this involves. Many of the organ performances here are filmed from directly above the keyboard, often intercutting with a camera positioned beneath to show the pedals, and the visual clarity that this offers provides an invaluable guide for the listener to the intricacies of the counterpoint. The recorded sound of the various organs—in Bremen, Chemnitz, Ludwigsburg, Ulm, and Weiden—is good too, a testament, no doubt, to the specialist organ-recording skills of the team. The organ performances are divided between three players, Bernhard Buttmann, Bernhard Haas, and Graham Barber (Buttmann has recently recorded a complete Reger cycle on the Oehms label, and Bernhard Haas appears on the complete cycle for Naxos). All three give excellent performances, especially Haas, whose readings here are more inspired than his single-disc contribution to the Naxos set. The fact that he plays every work from memory is particularly impressive, as is the variety of colours he draws from the various large-scale organs—his rendition of the Introduction, Passacaglia, and Fugue in E Minor, op. 127, is a highlight. Buttmann is similarly adept at keeping complex contrapuntal lines afloat, even at the loudest dynamics (again, all the organists benefit from the excellent recorded sound). Graham Barber seems a little more pedestrian, though this may be because he is playing a smaller organ, at the Church of St. Michael in Reger’s home town of Weiden. Reger’s chamber music gets impressive coverage, with excellent performances throughout. The String Quartet No. 2, op. 54/2 (Aris Quartett), and the String Sextett, op. 118 (Diogenes Quartett + Roland Glassl and Wen-Sinn Yang) are rarities on disc, yet both are pivotal works, so it is good to hear them given such fine performances here. There is also a good selection of solo and accompanied violin works, with the Suite in A Minor, op. 103a, a particular highlight, performed by Katharina Wildermuth (violin) and Evgenia Rubinova (piano)—Wildermuth is also the leader of the Aris Quartett who play the Second String Quartet. The chamber works are divided between two recording venues, the very stately Altes Rathaus in Weiden and a recording studio. The studio doesn’t look as good, but the audio is far superior. Mezzo-soprano Frauke May is clearly a passionate advocate for Reger’s songs, many of which she sings here, both with piano and orchestral accompaniment, as well as discussing them at length in the documentary. Her delivery is very Impressionistic, her tone meandering between the notes and the words barely audible, but all this is in the spirit of the music, even if Iris Vermillion has demonstrated, on CPO 9993172, that greater clarity of tone and articulation also benefits these works. For the orchestral songs, May performs with the WDR Funkhausorchester conducted by Wayne Marshall. He is a curious choice, an excellent organist (no-doubt his connection with this production team) but a hesitant conductor who doesn’t look comfortable on the podium. By contrast, Ira Levin is in full command of the Böcklin Tone Poems, op. 128, a fine performance from the Brandenburgisches Staatsorchester, although it would benefit from larger string section. Curiously, the programme also includes Levin’s own arrangement of Reger’s Bach Variations, op. 81, the conductor doing a credible job of imitating Reger’s orchestral style, not that it was one of his greatest strengths. There is also much solo piano music included, performed by Marcus Becker, Rudolf Meister, Andrew Brownell, and Oliver Kern—fine performances all, though not competitive with the best (Hamelin) and, as with the chamber music, divided between a good-looking venue—a room overlooking Ulm Münster—and a better-sounding studio. The packaging is de luxe, a card box with Jugendstil decoration, containing a foldout insert accommodating the six DVDs and an 86-page book, everything pre-faded to give the impression of appropriate antiquity. The navigation is eccentric and takes some getting used to. All of the performances, even in the documentaries, are preceded by just the opus number on the screen. To find further information, the listener must consult the “Complete Opus List” in the booklet, which gives full information, at least for the works included. The list itself feels like a missed opportunity, because it could have been the first comprehensive list of Reger’s works in English (bar the much abbreviated Grove entry). Sadly it is neither complete nor in English. The list is in German (clearly the producers are looking to Germany as a target market, very sensibly). More frustratingly, the list only mentions the without opus works that are included in the recording, missing out a great deal of significant music. That said, the information that is included in the booklet is very helpful, with the premiere and publication dates for all the recorded works, an introduction from Will Fraser, the contents of each disc (although this requires cross-referencing), full registration lists for every organ, and full production credits and a list of major sponsors. Which brings us to the last and most astonishing aspect of this project, that it was made possible by a crowdfunding campaign. Strict economies must have been excercised to make this possible, but none are apparent in the finished product, which seems as generously opulent as the music it celebrates. This has clearly been a labour of love for Will Fraser, and no doubt for many of his colleagues too. Reger fans owe him a huge debt of gratitude, and their numbers are only likely to increase thanks to this excellent project. This review appears in Fanfare magazine, issue 40:6.